Being a part of Kick Dance Studios is more than just great dancing. Literally. Kick Dance Studios is part of a group called More Than Just Great Dancing, an organization made up of dance studios around the nation focused on making a positive impact on dance students and the community. In fact, Kick Dance was one of 15 founding members of the organization, started in 2012, and is the only dance studio accredited by More Than Just Great Dancing in Central New Jersey. Vanessa Berry, More Than Just Great Dance founder, Misty Lown, and member Alicia Knopps. But More Than Just Great Dancing has an even wider reach, encouraging community outreach, community service, and fostering and nurturing dance students to become great people, on and off stage. 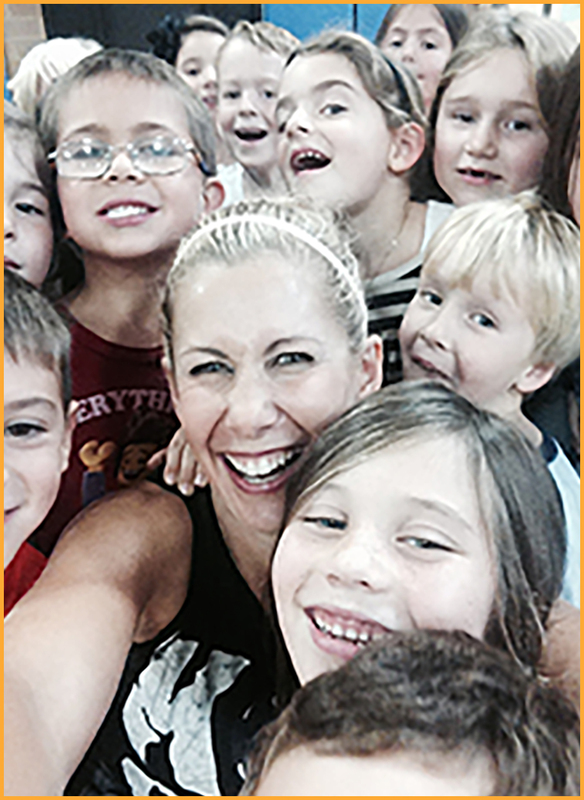 “Kick Dance joined More Than Just Great Dancing to have a network of like-minded studio owners dedicated to elevating our industry and preserving childhood,” said Vanessa Berry. And that’s precisely the mission of More Than Just Great Dancing — to raise the bar for dance studio education, and to honor, support and recognize the studios who desire to offer age-appropriate education for dancers growing up in a complex world. Community service and outreach is a big theme at More Than Just Great Dancing, and something Vanessa and her instructors take very seriously. Each year the studio chooses a new charity to work with, and all proceeds support that organization. This year, Kick Dance raised $10,000 for StrongMom.org, an organization supporting one mother’s battle with colon cancer, and Project Write Now, a group offering writing classes and workshop experiences to children, teens, and adults in Red Bank, NJ. Two years ago, Kick Dance chose to support the National Multiple Sclerosis (MS) Society, and raised $8,500 with their annual “Kick for a Cause” performance on February 23. The charity was chosen to show support for a mother of one of Kick’s dance team students who has MS, a chronic disease that attacks the central nervous system. Other charitable efforts include raising money for Hurricane Sandy-damaged Monmouth Beach Elementary School, All Fur Love Animal Rescue, and Alex’s Lemonade Stand Foundation for Childhood Cancer. Vanessa Berry and K-3 students during a Halloween flash mob rehearsal. This year, Kick Dance is standing up to bullying with the help of More Than Just Great Dancing. The organization is sponsoring a “Define Yourself” campaign to raise awareness about October’s National Bullying Prevention Month. The idea is for teenage dance students to start a movement to shed labels and define themselves by who they are and not how others define them. Kick Dance Studios is one of the first dance studios to support this anti-bullying movement, asking its dancers to fill in this sentence: I will be more than a dancer, I will be ______. Students may say “a positive influence to others,” “a good friend to everyone,” or “a person who tries my best.” The answers are limitless and are meant to remind us all that there is more to us than meets the eye. The campaign revolves around the fact that we all dance to a different beat and that we shouldn’t let others define us. More Than Just Great Dancing and Kick Dance Studios are committed to excellence, both in the classroom and in the community. The close-knit group has proven to be a great resource and learning experience for Vanessa, her instructors, and the studio as a whole. For more information, visit www.morethanjustgreatdancing.com. Now ask yourself, how will you define you? Then fill in this sentence: I will be more than a great ______, I will be ________. 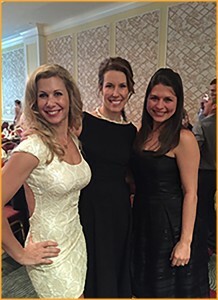 Photo 1: Vanessa Berry, More Than Just Great Dance founder, Misty Lown, and member Alicia Knopps. More Than Just Great Dancing provides dance studio owners with a knowledgeable and dedicated network of like-minded business owners who know the business of dance. Cover Photo: Kick Dance students Anna Ciardiello, 9 of Fair Haven, and Lauren Connoly, 9 of Little Silver, on stage after a community performance at Harvest Fest at Knollwood School in Fair Haven. 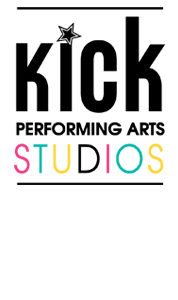 Kick Dance Studios is a member of More Than Just Great Dancing, a group of dance studios focused on making a positive impact on dance students and the community.